Why buy Banana chips from us? 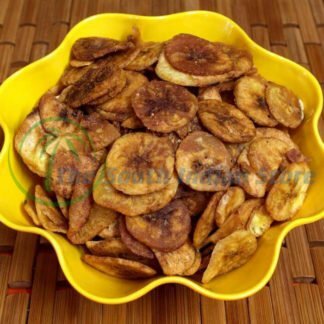 We sell banana chips prepared using coconut oil only. 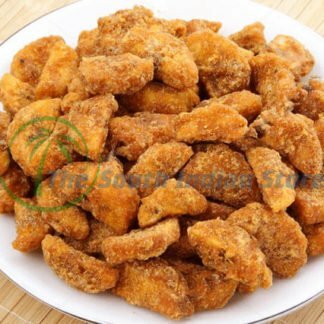 Banana chips are prepared only after we receive the order online. We do not maintain stocks. To retain the quality of the Banana chips, we ensure that the packing is good enough to withstand the transportation impact. All orders are shipped after proper inspection by our quality control team. 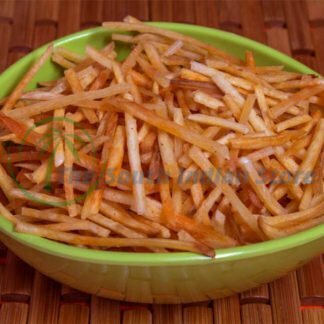 We are among the top online sellers of Premium quality banana chips from Chennai. also called banana wafers is one of the most famous south Indian snack. Banana is sliced and fried in pure coconut oil with added sugar/ salt or spices to get that extra mouth watering taste. They are mixed with a pinch of salt to get a salty and spicy feel. Banana chips are most famous and highly produced and consumed in Kerala. 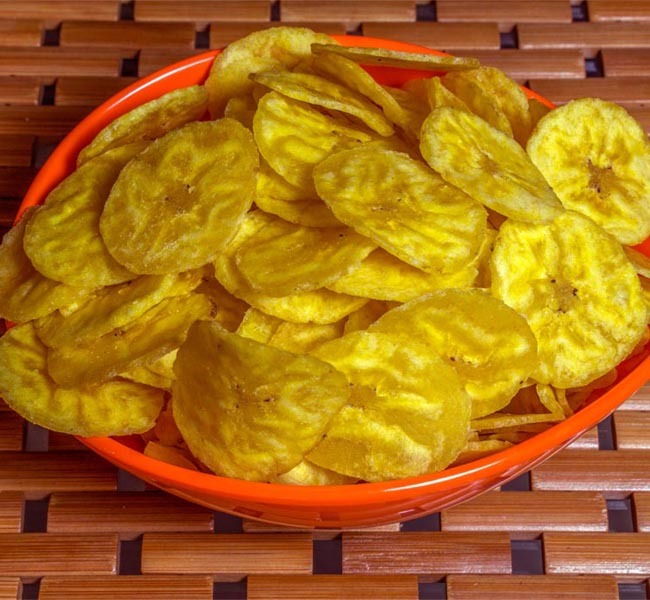 Malayalis often refer banana chips with the name Upperi. Apart from being a snack, banana wafers are also served during special occasions like Marriage. We provide you freshly prepared banana chips which you can consume and get the flavour of Kerala right at your doorsteps. No matter which part of the country you reside. 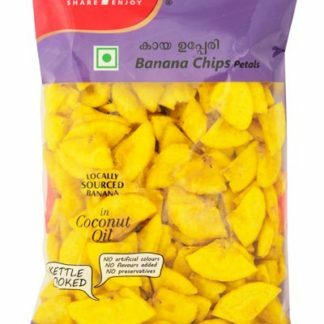 We, at The South Indian Store works hard to make sure that you are not deprived of the taste, purity and the quality of the original banana chips prepared using 100% original Coconut oil. Be it an occasion of Marriage or Onam or any other event, we deliver the freshly prepared and hygienic banana wafers right at your place. Apart from being a tasty and mouthwatering snack, Banana wafers are healthy mainly because of the nutritional facts of Banana. You can read through our exclusive post on 51 benefits of Banana here. 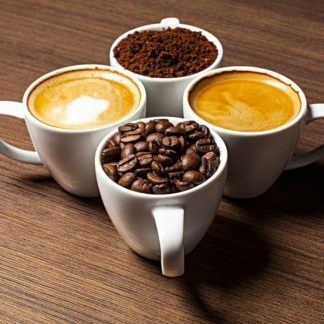 We believe in providing quality products to our customers and achieving customer satisfaction is our primary motto. We never maintain stocks of any items sold on our website. As soon as we get a new order from our customer, we get in touch with our reputed Banana chips maker in Chennai and they prepare fresh and hot chips using pure edible coconut oil. We pack the same with great care and love and ensure the safety of the packet before shipping it to your address. Throughout the transportation, the quality and purity of the banana chips remains intact. Best banana chips i ever had. They taste delicious and fresh. Some of the bags came with little broken chips but i will still give all 5 stars since I enjoyed them. Very Good Quality. Fresh Product. Chips was very crispy.Good packaging.Got delivered within the time alloted.Recommended for everyone. The quality of the product is excellent..the delivery was also decently fast. very fresh and crispy..the delivery was also very quick.. I m from Andaman. Placed order for two items including Banana Chips. It was my first purchase. Items reached well in time. Very well packed. Its is too good and very crispy. 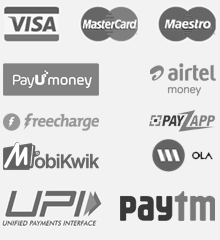 Going to purchase other items also very soon. Would like to thanks To ‘The South Indian Store” ppl. Thank you for getting in touch with us. One of our representative will get back to you through email. Thank south indian store very much for quick delivery in north area.Also I would like to thank for the quality of the product u have sensed me.Its really good quality, with out any foul smell or anything. PLUS packaging was super good.So u deserve five star*****. Thanks a lot for the feedback 🙂 We are happy that you liked our products and service. We were looking for authentic banana chips fried in coconut oil. Tried from different sellers but not satisfied. We are finally happy finding this site. Thank you anand for the kind words. My parents havwnt tried everythjng yet but they said chips was v good. 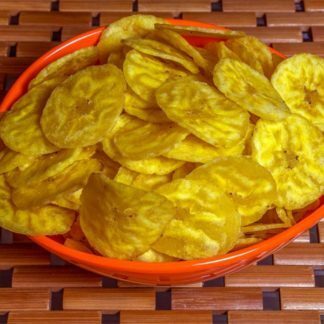 Banana chips is something everyone have to try . Awesome . Banana chips are really good and tasty. Before placing the order, I was bit reluctant as I was not sure about the credibility of this brand. But once the product was delivered, I was really happy to see the Banana chips. They tasted like freshly prepared ones and had their slight aroma intact. I would strongly recommend The South Indian Store to my friends and colleagues. The banana chips is the highlight of this store. These chips are tasty, crisp and packed well for transport. Most importantly they are made in good quality oil and you can feel the goodness in the taste. Shipping and delivery time is also very good. Thank you Liju. Looking forward to serve you again. Very Tasty , Slim and beautiful packing without breaking.